When it comes to skin and hair care, personal recommendations speak volumes over TV and magazine advertising so here I share some of my beauty essentials. I’m not on a big budget and look for value as well as performance so most of my finds are fairly inexpensive but rated highly – or I wouldn’t recommend them to you! Do share your essential tried and tested beauty buys in the comments below so we can all benefit from one another’s experience. First up, the £5 facial oil you need in your life. Probably the best skincare product I have ever used. It’s a facial oil and despite the fact that my skin verges on the oily side of normal it works to hydrate without loading up the skin with heavy moisturisers. Using a facial oil doesn’t make your skin oily. Fact. It actually balances much better than a cream moisturiser. In the morning my skin still feels dewy and glowing, not oily. 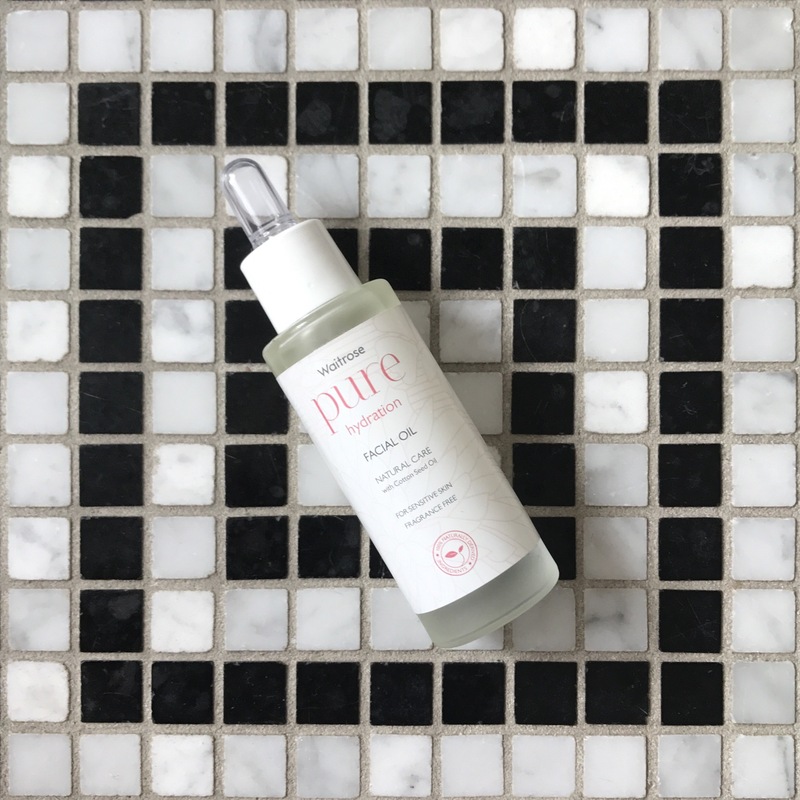 I’ve used the Pure Hydration Facial Oil for a long time and it’s still as good now as when I first used it (over a year on and off) and although I have used other moisturisers and serums in between, none have felt as good as this. I use it after cleansing in the evening and massage excess into my hands and nails. In the morning my skin still feels dewy and glowing, not oily. I use again in the morning after cleansing and before applying a Pixi Primer then either a L’Oreal or Chanel foundation. Some mornings though I don’t cleanse again as my skin still feels fresh and healthy from before bedtime so I don’t want to strip this back by over cleansing. I’ve converted friends and family to this facial oil too, including my mother, which shows it’s good for the more, shall we say, delicate skin too. The good news is it’s made with 100% naturally derived ingredients. The good news is it’s made with 100% naturally derived ingredients. 100%. Not just a few natural ingredients. All of it. And the even better news? It costs just £5. FIVE pounds. That’s like a takeaway coffee and a half. For great skin. You should also try the other Waitrose Pure skincare products; the Pure cleansing and exfoliating powder, £3, is also divine, with a base of tapioca not talc. Waitrose, you rock. Just please don’t put the prices up when everyone realises how amazing this is. Thanks. Pure hydration facial oil for sensitive skin. Suitable for vegetarians and vegans. 100% naturally derived ingredients. Pure hydration eye cream, £4. Pure cleansing and exfoliating powder, £3. Ooh thanks for the recommendation! 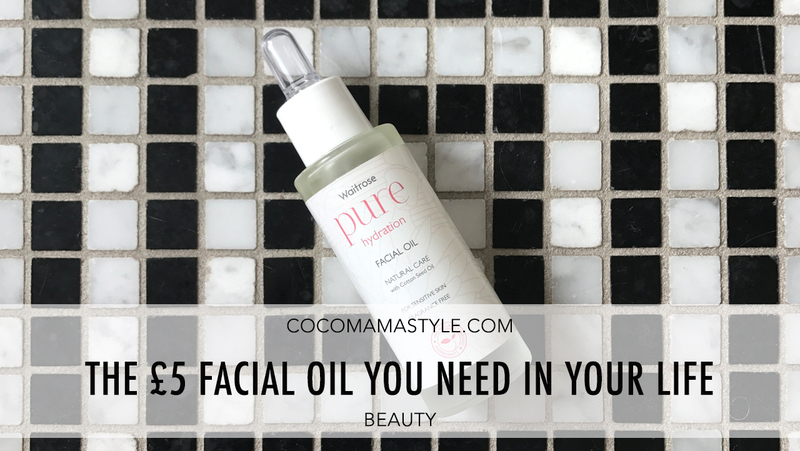 I love facial oils and at that price, you’d have to be mad not to try it out! Such a fair price tag bearing in mind that it is composed of all natural ingredients. Awesome recommendation . . . will try it out definitely. I have sensitive skin by the way. Thanks for your time and effort. Hi, Super helpful tips. Never thought natural facial oils can be this affordable. Mercy recently posted…Best Treadmill For 300 Lb Person | Best Treadmill For Home Use In 2017.